Posted January 27, 2014 & filed under Events, News. Full article on Billboard here! Posted January 21, 2014 & filed under News, Video. Rainy Milo just released her brand new video for the first single from her debut album coming 03.03.14, “‘Bout You”. Check out the video above! Posted January 17, 2014 & filed under News, Premiere. Posted January 16, 2014 & filed under News. 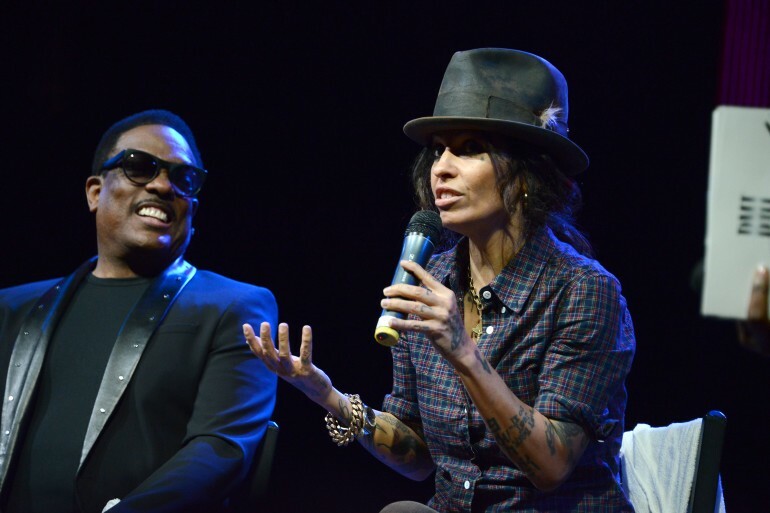 Saturday, January 11, 2014 was the annual Art Of Elysium‘s Heaven Gala at the Skirball Cultural Center featuring this year’s visionary, Linda Perry. The event featured gourmet vegan food, musical performances, and the all-encompassing theme of resonance, bringing to life Linda’s vision of Heaven on earth. Presented by Art of Elysium and Mercedes-Benz, guests included Johnny Depp and girlfriend Amber Heard, Steven Tyler, Evan Rachel Wood, and many more. The event raised money for Art of Elysium’s programs, which help critically ill children through art, music, and performance. Read the full article in Variety here and a big thank you to everyone who helped make this a phenomenal event. Posted January 7, 2014 & filed under News, Premiere, Video. Rainy Milo‘s “Deal Me Briefly” was certainly a summer hit of 2013. You can see it featured in VH1′s new show, “Single Ladies,” season 3 premiere above (the song was produced by Chet Faker with additional and vocal production by Daje). Posted January 5, 2014 & filed under Interview, News. Posted January 3, 2014 & filed under News, Video. Rainy Milo’s song “Deal Me Briefly” is set to play on VH1‘s original series “Single Ladies” on Monday, January 6, 2014. Tune in at 9/8c to catch the feature, and listen to more of Rainy here. Posted January 3, 2014 & filed under News, Premiere, Video.